The complete rules of Battlestar Galactica – Starship Battles are now online. See and download the rulebook to learn more about the new combat miniature game based on the “Battlestar Galactica” TV series. 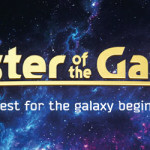 The complete rules for the 4x board game of galactic conquest Master of the Galaxy are now available for download.